Prime Minister Lee Nak-yon said Tuesday the prosecution is in the midst of its "worst crisis," as allegations of sexual misconduct rock the organization. Lee made the remark while presiding over a Cabinet meeting, calling for a thorough probe into the allegations and measures to prevent such misconduct from happening at other government agencies. "The prosecution should stake its honor and its existence itself on efforts to find the truth and take corresponding measures," Lee said. Lee also ordered the gender equality ministry to work together with the interior ministry and finance ministry to launch a special inspection of sexual offenses at government agencies and other public organizations. 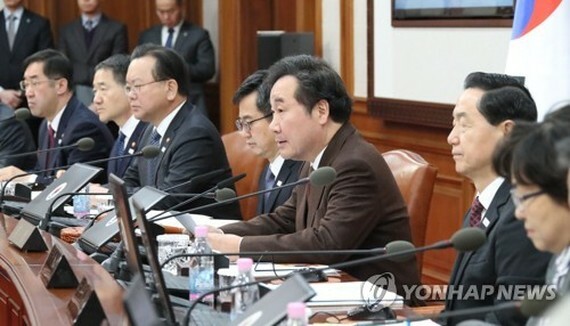 Last week, a female prosecutor, Seo Ji-hyun, raised the accusations against a former senior prosecutor, claiming that he groped her body during a funeral dinner in 2010 and that senior Justice Ministry officials tried to cover it up, transferring her to a remote post. President Moon Jae-in also called for the creation of a work environment in which female workers may freely report any sexual abuse without having to fear negative consequences. Source from the Yonhap.